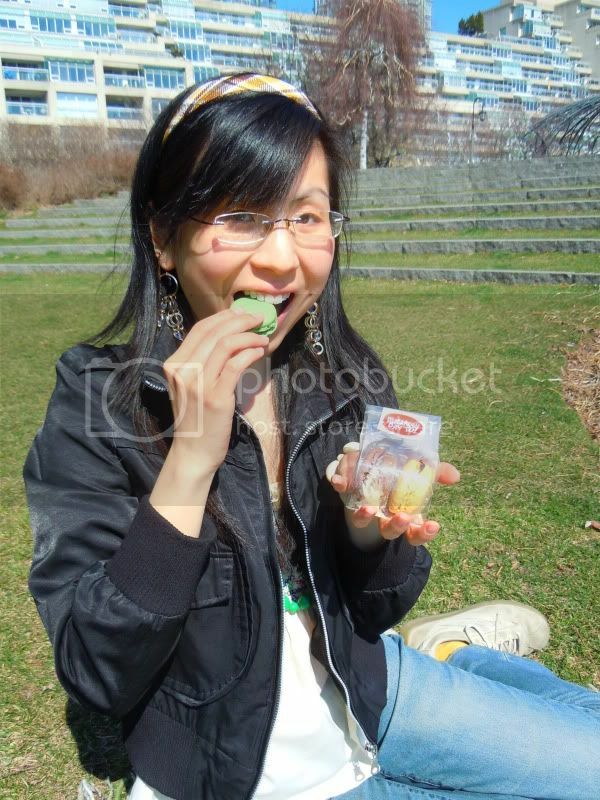 Sipping Tea in the Park on a Sunshiney Day – “Tea”licious Coconut Blossom Green Tea at Tealish! Tealish is a place that makes me cheerful and happy the minute I step through the door. 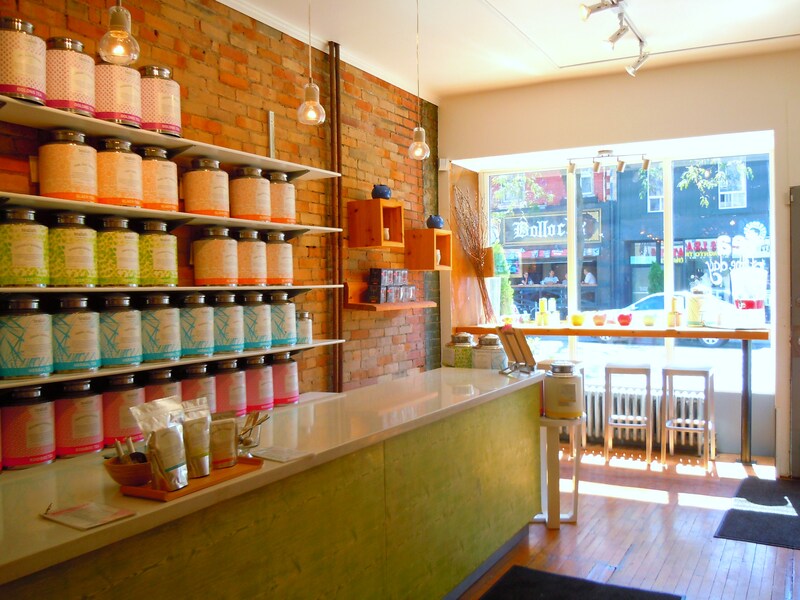 A fun and fresh tea boutique located at 728 Queen St. West, Tealish’s walls are lined with shelves upon shelves of colourful pastel coloured canisters offering everything from black, green, white, oolong, rooibos, and herbal loose leaf tea, as well as adorable tea accessories. 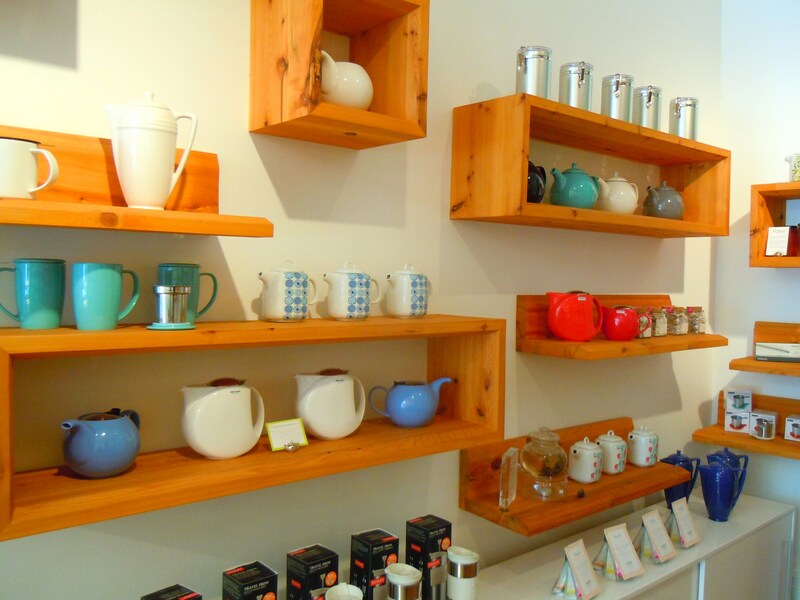 Think little red, blue, and turquoise teapots, little tea cups, tea thermoses, tea strainers, and individual loose leaf tea packets in a host of flavours. Tins of loose leaf tea in any one of their 100+ flavours can be purchased in 50g, 100g, and 250g, and prepackaged tins of loose leaf tea are available for purchase in gift sets and individual tins on the shelves. With its hardwood floors and bright lime green and white decor and storefront, there’s a brightness and freshness about that is so refreshing and inviting. It feels and looks so cozy inside, especially on a sunny morning with the warm sunlight filtering in through the storefront window. It’s the feeling you get when you’re lying back relaxing with a good book a lazy summer day. When you’re inside, you don’t feel like you’re in a tea shop in the retail sense of the word; you feel like you’re in a sunny country kitchen with an inviting tea room in the back just beckoning you to sit back, relax, and sip on some soothing and delicious tea. I love Tealish’s loose leaf tea selection. 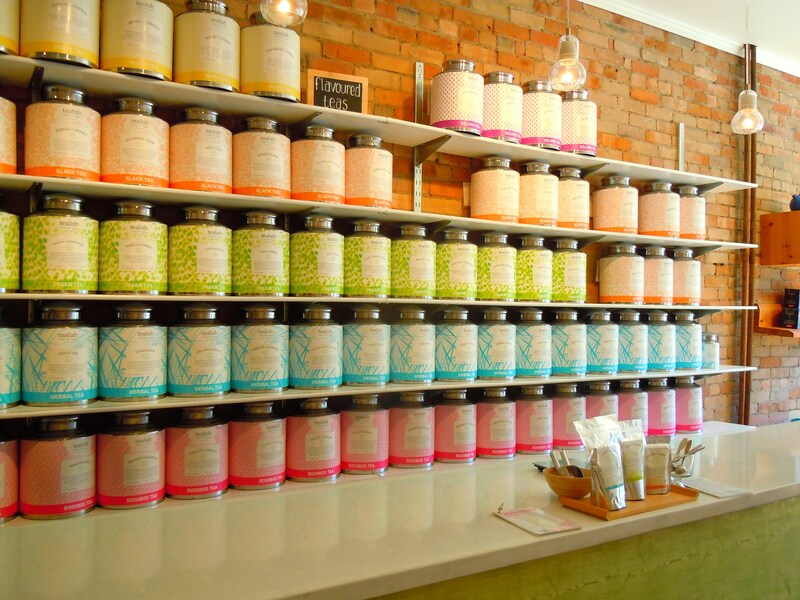 For one thing, deciding on the type of tea you want is super easy because 1) each shelf is allocated to a specific type of tea and 2) each type of tea is colour-coded. If you want loose leaf flavoured green tea, check out the lime green canisters on the 3rd shelf. Feel like a rooibos variety? Puruse the bottom shelf with the pretty pink metal tins. 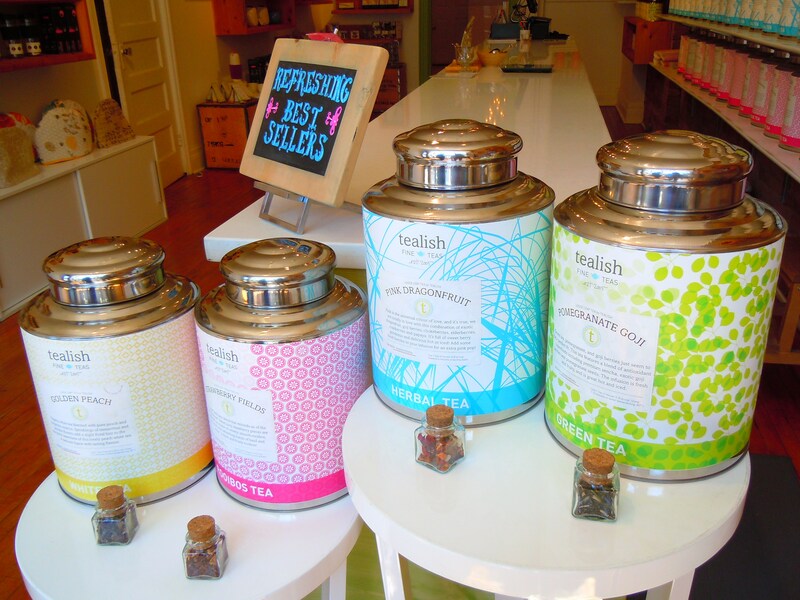 I am crazy about fruit teas and dessert teas and Tealish has plenty to choose from. Just the thought of teas such as lemon meringue, coconut cream chai, orange marzipan, and double chocolate make me salivate. 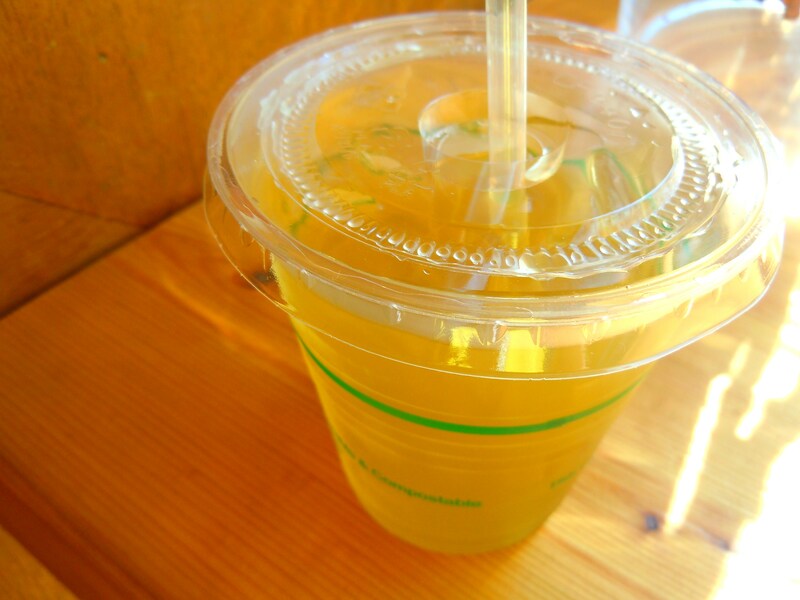 I knew I wanted a dessert tea and because I’m crazy for coconut flavoured anything and everything, I got myself a small ($2.50) coconut blossom green tea, iced. I was so excited about my tea that I completely forgot to write down and take note of the prices for the other sizes, so I promise I’ll get that for next time! Now, I love coconut dessert stuff and I enjoy green tea, but I’ll be honest and say that I really didn’t know what to expect from this tea. I didn’t know if the coconut flavour would be too subtle for my taste, if it would end up being diluted, if it would come across too artificial in taste, that kind of thing. I was not disappointed AT ALL! In fact, this tea figuratively knocked my shoes off. 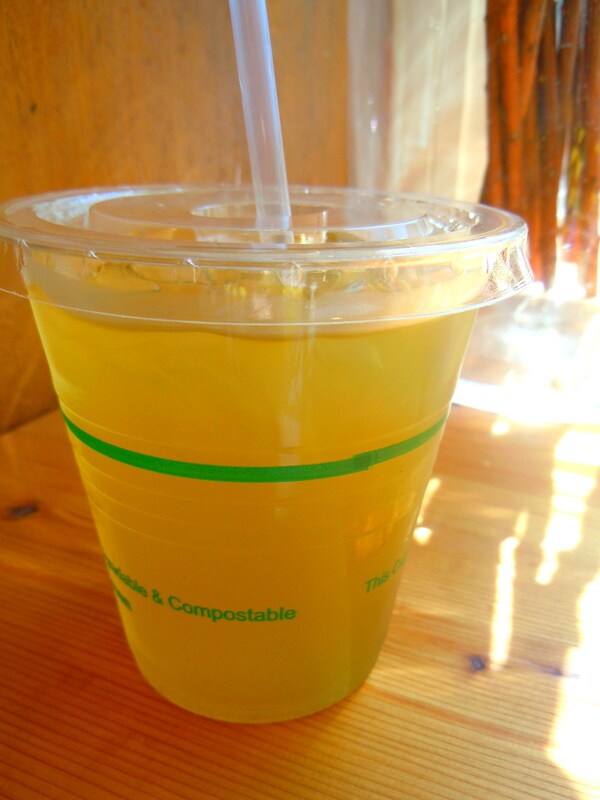 The coconut blossom green tea is DELICIOUS! The coconut flavour hits you right from the first sip but isn’t so strong or aggressive that it takes away from the green tea herbalness. It’s a beautiful meshing of flavours and there is no mistaking the coconut flavour. It tickles your tastebuds as you drink and it leaves a yummy after taste that leaves you licking your lips for more. Drinking this tea makes you feel like you’re eating a piece of sweet coconut cream pie. It’s THAT good. 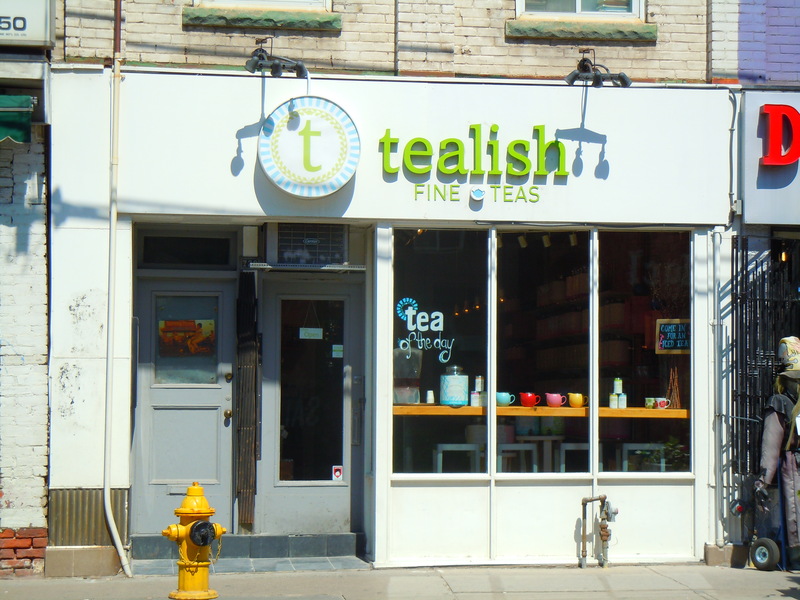 Tealish is located at 728 Queen St. West at Claremont St. just steps away from Trinity Bellwoods Park. In terms of major streets and intersections, Tealish is located in between Bathurst St. and Ossington Ave. on Queen. 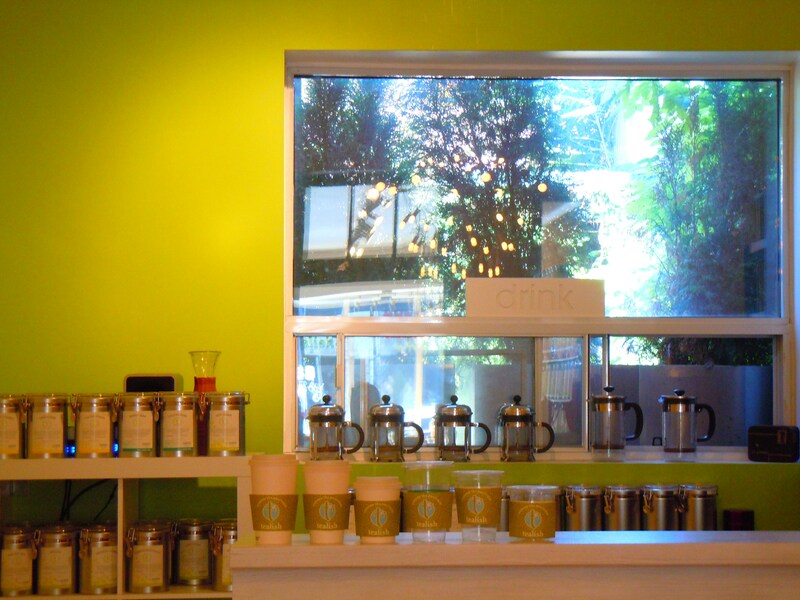 Their official website is located here where you can purchase teas online and puruse their many “tea”licious flavours!